Spend in DIY stores experienced a surge in the second quarter of the year, driven by growing consumer confidence. The trend is revealed in the latest Barclaycard Consumer Spending Report, which also shows that overall spend growth hit a three-year high of 4.5% in Q2 - with June enjoying a 4.9% increase. 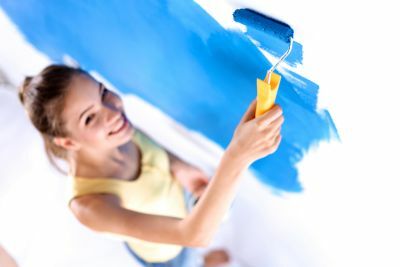 The report says that non-essential spend, such as in DIY stores and on household furniture, grew strongly as increasing confidence saw consumers splash out on leisure time and the home. Year-on-year growth in DIY spend was up 5.7% (5.9% in store and 3.7% online) whilst growth in furniture stores reached a three-year high of 7.4%. Restaurants and pubs saw double-digit growth of 14.8% and 12.1% respectively. The decisive result of the general election had a positive impact, with a third of consumers saying it had buoyed their confidence in the UK's economic future. Barclaycard chief operating officer Chris Wood said: "A decisive general election, low inflation, an uptick in earnings and improving job security all contributed to a sense of financial wellbeing among consumers in the second quarter, which in turn led to record growth in both overall and discretionary spending. "Rather than a fleeting trend, consumer spending has been growing steadily since last summer as more and more people started to believe that improvements in the macro environment were here to stay. With the UK's economic recovery appearing now to be firmly established, households are likely increasingly to spend more on themselves and their families."